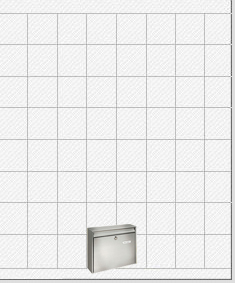 Slim, modern post box made from high quality brushed stainless steel. Flush design allows multiple post boxes to be fitted side by side and above and below one another in banks making them ideal for apartment blocks. Easy removal of contents via drop down door including door stop. Constructed from high grade stainless steel to European Standard EN 13724.